Chanukah song. 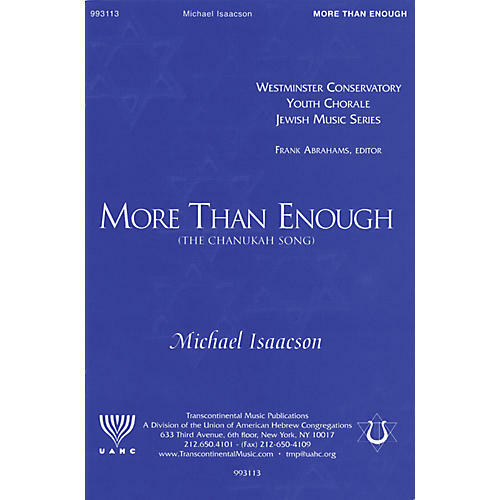 A rousing gospel-style piece which teases the traditional Maoz Tsur melody. The Westminster Conservatory Youth Chorale Jewish Music Series. For SATB, solo and keyboard.